Pros: Energetic, comic and touching with a splendid performance by Joana Nastari. Cons: Out-of-character scenes are distracting and would be better omitted. An entertaining and funny show about the life of a striptease artist. Throughout the show Kitt interrupts from off-stage as the voice of her phone. Not the voice on her phone, but the phone itself: partly reminding her of the growing bank of texts from her mother, who Bea is convinced has guessed her secret occupation, and partly acting as the voice of her conscience. It’s Kitt who reminds her the morning after that she’s maxed out her credit card on four Uber rides and spent all her cash losing a bet with a group of Italian tourists. 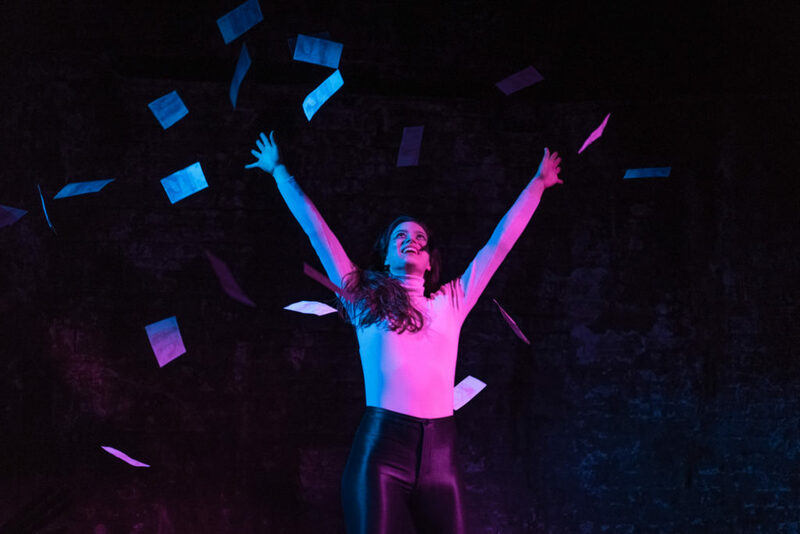 For the first 15 minutes, performer Joana Nastari – who also wrote the show – is slightly awkward as she introducrs the character of Bea through the medium of a poem written in rhyming doggerel. But when she slips into character, Nastari wows the audience with an energetic and entertaining montage of Bea letting loose in a nightclub; dancing, knocking back shots, rolling joints, snorting lines of coke and drinking more shots before passing out in a drunken stupor. From this point onwards the show comes alive, as the character of Bea enacts scenes from her everyday existence and discusses her chosen path in life. “Hi, I’m Holly,” she announces, “and I babysit grown men”. 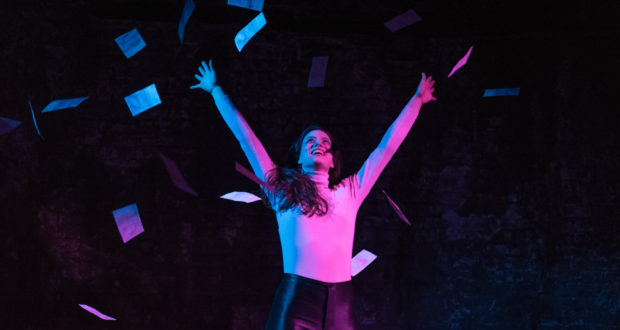 With fluid direction from Beth Pitts, a thumping soundtrack that veers from Brazilian to Grime and evocative, restless lighting effects, the show surges through its 90 minutes with energy and humour. A couple of dreamlike scenes are hard to interpret, and the moments when Bea slips out of character break up the flow; but overall it’s an entertaining and enthusiastic performance, with moments of high comedy that could have been better balanced by a little more tragedy.